Governor Nasir El-Rufai drove organization has pronounced the strike by the Academic Staff Union of Universities, ASUU, as unlawful. The government likewise said that it won't pay for a considerable length of time lecturers of the state possessed university did not work. El-Rufai's spokesman, Samuel Aruwan, in an announcement mourned the continuous activity, taking note of that there was no debate between the government and the striking lecturers. 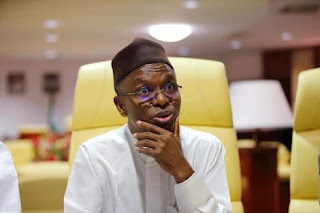 "The Kaduna State Government is in receipt of communication from the Kaduna State University, KASU branch of ASUU, affirming that the branch has joined the nationwide strike since they are full members of the national union", he said. "This is inadmissible to the state government. It is an inconsistency that employees can be on strike without announcing a debate with their boss. "It bears repeating that Nigeria is an alliance of states, and no exchange union can modify this elected reality by forcing on a business state government the terms that elected employees have concurred with the Federal Government. "The Kaduna State Government is not influenced, or bound by any question, difference or assention ASUU may have with the Federal Government. As a sub-national substance, the Kaduna State Government is separate from the Federal Government of Nigeria. The Constitution of Nigeria plainly confirms this. "It is the considered perspective of the Kaduna State Government that the KASU branch of ASUU has set out on an unlawful strike. In this way, the Kaduna State Government is not subject for salaries and allowances for the time of the unlawful strike. "The government might continue to start the important disciplinary strides as per Kaduna State Public Service Rules as for the individual acts of commission or omission of those that join or persevere in an unlawful strike", the announcement included.